What are the factors when choosing locations? I believe these are the factors the XFL must consider when choosing a team location. 1. Confirmed availability of an appropriate stadium. 2. Large population (market) size. 3. General lack of other sports teams. 4. Lack of NFL representation. Re: What are the factors when choosing locations? I can tell you with 100% certainty that your statements of #3 and #4 are totally out the window in terms of what they are looking at. #2 is very important to them and they will not play in a non-populated area. Keep in mind they need an area that does not just have a place to play their games, but a place that they have available practice facilities (usually not at the game stadium) and ample places to house their players, coaches and employees working for that team for the duration of the season at a reasonable costs. They are aware of stadiums in localities already and they are actually not too concerned with availability of them, they are more concerned with cost of use. The time of year the league runs dictates pretty much any stadium would be of use. 1) Familiarity, preferably a place where McMahon and his employees enjoy relationships with people in the media and municipality where they can get a good deal, ease of licensing and positive press. 2) Availability of additional revenue streams. Does the local area have advertisers and sponsors that can provide revenue outside of ticket sales. I believe a general lack of sports teams is an important factor. There is nothing worse than intrucing another team into a market that is saturated by sports options. The people won't flock to "just another team". Yes. I believe market saturation is important. Maybe it’s not. We will see. If anybody here thinks that they will select any city outside of the top 40-50 even at expansion, you can go to bed now. They need to sell Broadcast Rights as there primary source of income. Saturation is a joke. the reason for the game being played when they are is because they will have a virtual monopoly on Pro sport activity anywhere for months. the NY Metro area has over 20 Million people. Even with scarce interest they will draw more fans, viewers and money from this market then they would in a place in midamerica with 600K people, even if there was more excitement there because of numbers if they had 5% of the people interested in NY for example, that would exceeed Omaha's entire poulation and it is not like everyone in Omaha would watch even at 40% it would be outstanding and still be a fraction of what the 5% of NY people would bring in. Just a fact on money and why saturation is not an issue. the NY Metro area has over 20 Million people. Even with scarce interest they will draw more fans, viewers and money from this market then they would in a place in midamerica with 600K people, even if there was more excitement there because of numbers if they had 5% of the people interested in NY for example, that would exceed Omaha's entire population and it is not like everyone in Omaha would watch even at 40% it would be outstanding and still be a fraction of what the 5% of NY people would bring in. Just a fact on money and why saturation is not an issue. We have a winner! Posted on February 13th last year! 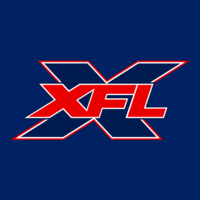 The orginal XFL was in 5 non NFL cities at the time. Memphis, Orlando, Birmingham, Las Vegas and LA. The two best drawing teams were San Fran and New York. Two NFL markets. This notion that you have to go into non NFL cities only makes sense if your league plans on playing football in the fall. That's when you will be directly competing with NFL teams, like the UFL did when they launched their league. They foolishly attempted a weeknight fall model during the NFL, College and High School football season. The whole idea of spring pro football is to provide football when there is no football going on. That's the entire draw. This league or any sports leagues, live or die based on their broadcast rights deal. Why choose big markets?... The answer to that is another question......Why rob a bank? Because that's where all the money is.